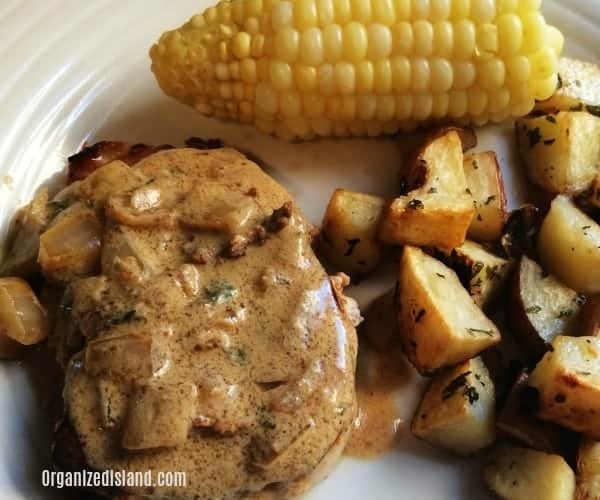 These simple stovetop pork chops are always simple to make and they taste wonderful. This post was originally published a few years ago. It’s been scorching hot here in Southern California and it’s really hard to believe that fall is officially here in a few days. It’s seriously been in the 90s this week and while I would love to start preparing some pumpkin items, I just can’t quite bring myself to do that when it’s so hot outside. This week was a good week for TV. The finale of Masterchef was on and I was completely surprised at who won but I still love watching it. 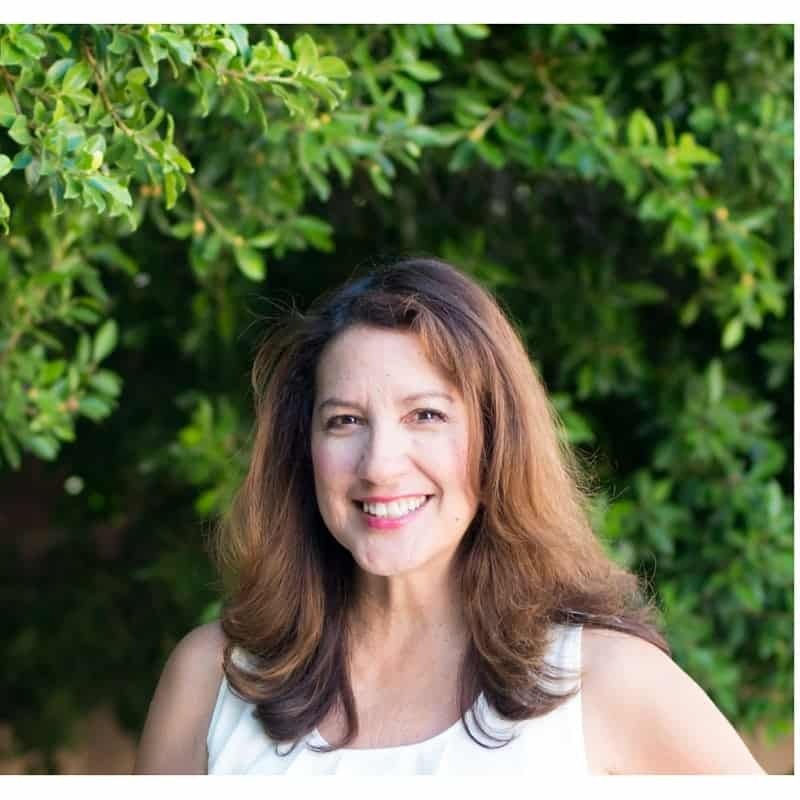 I just love watching the home cooks create recipes with creativity and passion. The show inspires me to create dishes and rethink plating them. Have you seen the dishes on the show? They are beautifully done. 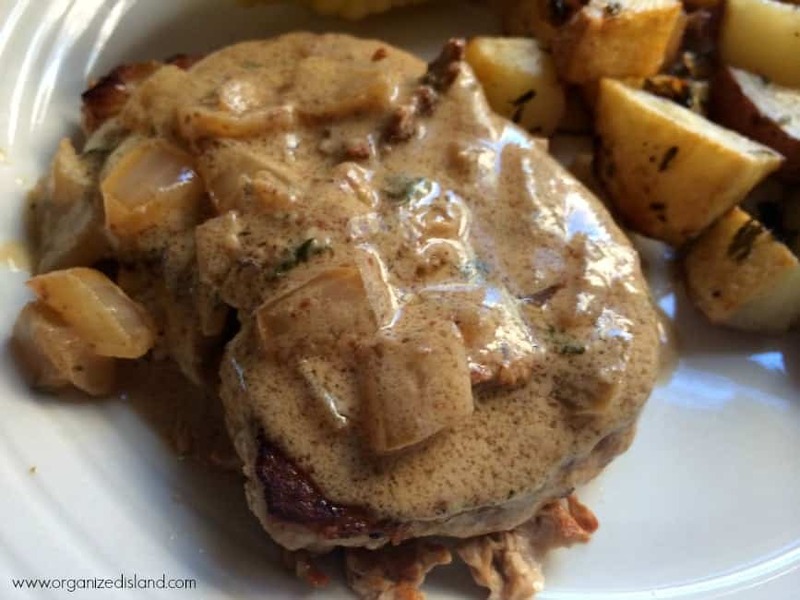 A couple of weeks ago Elizabeth on Masterchef made a wonderful pork dish with a mustard sauce, so I was inspired to make a simplified version with pork chops and they came out really good. 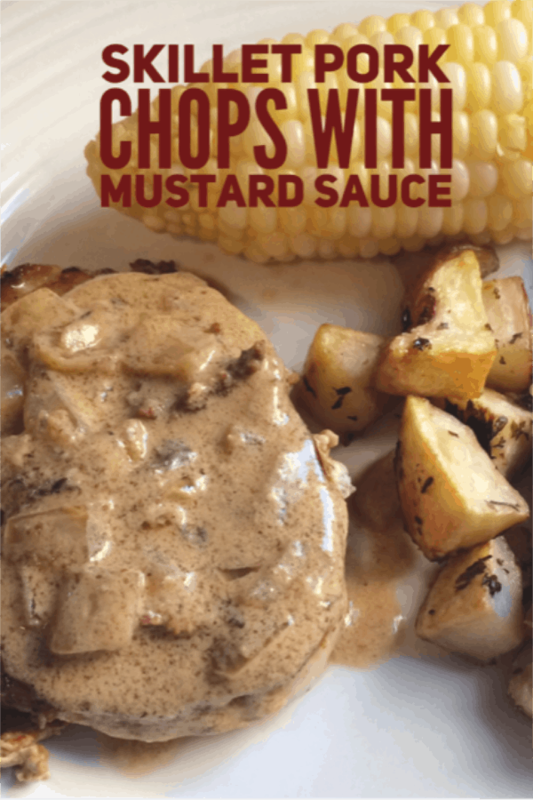 I like to use boneless pork chops for this recipe as they cook a little faster. Then I make a sauce in the same pan (why dirty another one). And before you know it, you have a tasty dinner. This is great for weeknights too! I think next time I might add some mushrooms to the sauce. Pork Chops with Tomatoes – A skillet supper idea which combines pork chops and tomatoes for a delicious stovetop recipe. 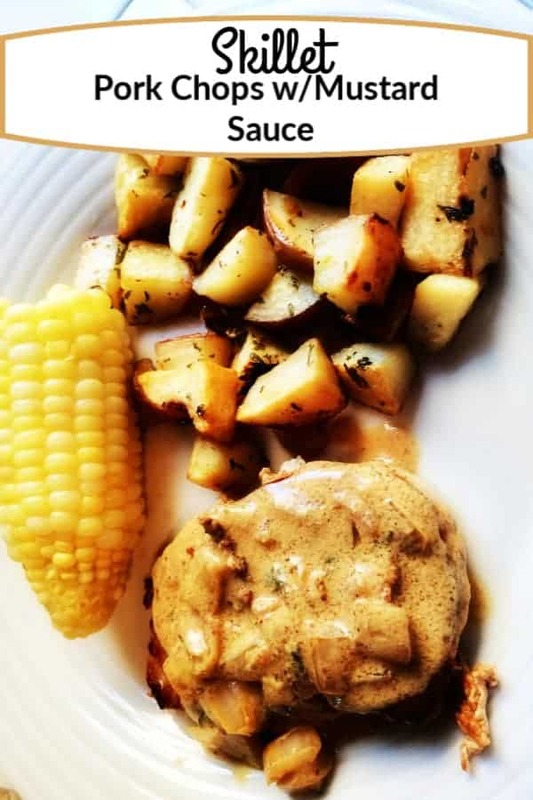 Saucy Pork Chops – These stovetop pork chops have a tangy apricot flavor that makes them saucy and delicious! 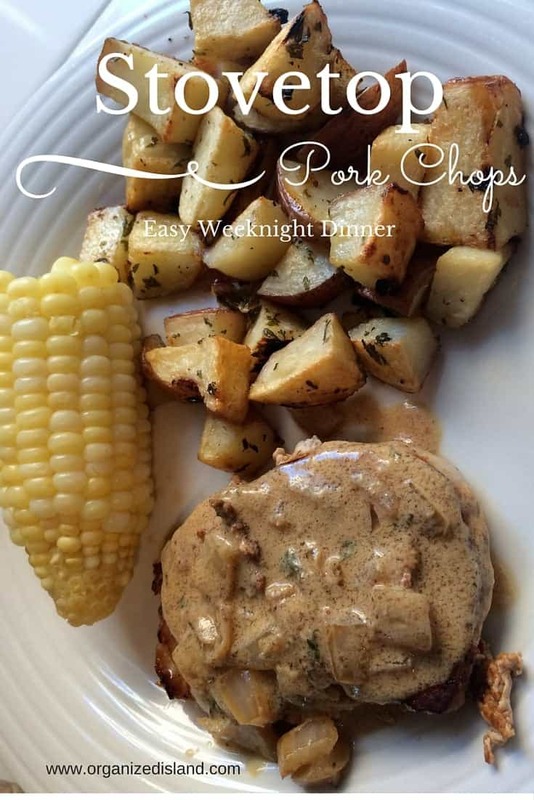 Pork Chops with Honey – A delicious and colorful dinner idea that comes together in minutes. Melt 1 tablespoon butter over medium heat in a skillet. Sprinkle salt and pepper on chops. 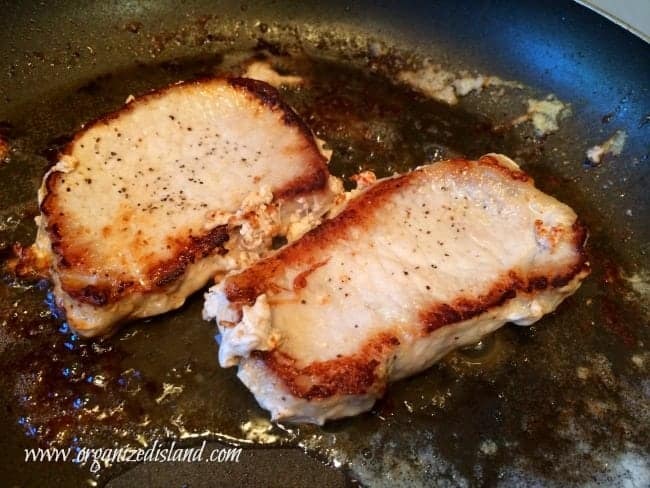 Brown pork chops in a skillet (about 5-7 minutes) and then flip and cook another 5-7 minutes. The National Pork Board recommends that the temperature for cooked pork chops is 160º. Remove pork chops from pan and keep warm. Melt 2 tablespoons butter in the same skillet. 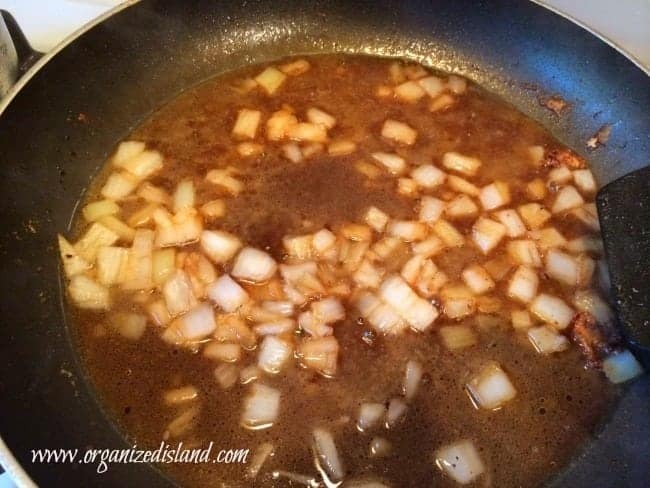 Add onions and saute a couple of minutes until clear. Add beef stock, mustard, parsley, paprika and sour cream. Mix well and cook until sauce is warm. 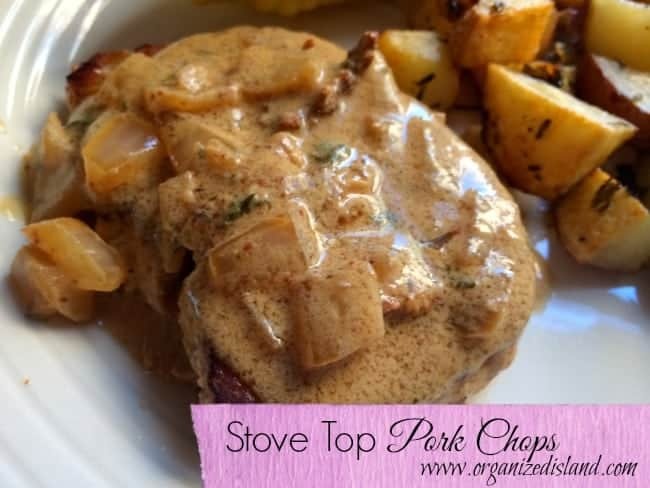 Serve over pork chops. Serves 4. What is your cooking inspiration? These look tasty! I just picked up some pork chops. I was going to make them in the crockpot but not sure how yet. This looks really good. I wish I would have seen the recipe before my trip to the grocery store. I don’t have everything I need for these. You make this look so easy….I’ve now put this onto my menu board! Oh my gosh this looks INCREDIBLE! Im pinning this to make later! Cassidy made something similar to this tonight so I can still smell it while reading this. He used a LOT of garlic. Mmm! Love the smell of garlic goodness! Those pork chops look so good! Sometimes the simple recipes are the best. 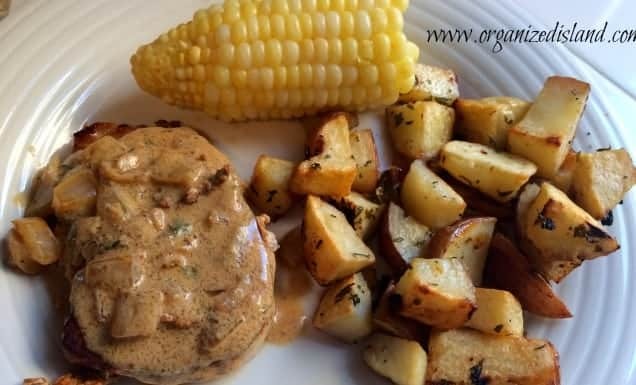 Your pork chops look delicious! 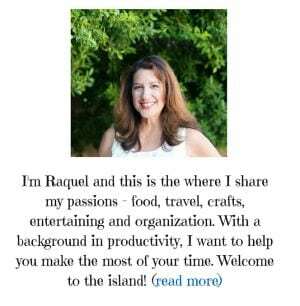 I would be honored if you would come by and share at Foodie Fridays going on now. Hope to see you there. Are you supposed to use a chicken or beef stock? In the ingredients list it says chicken but the instructions say beef. You can use either Keitlin! Thanks for catching that. I have made it with both types and it comes out great either way.